Last Friday was the last day of Christian at MES after two weeks. MES and students have learnt a lot from him and had a lot of fun, too. 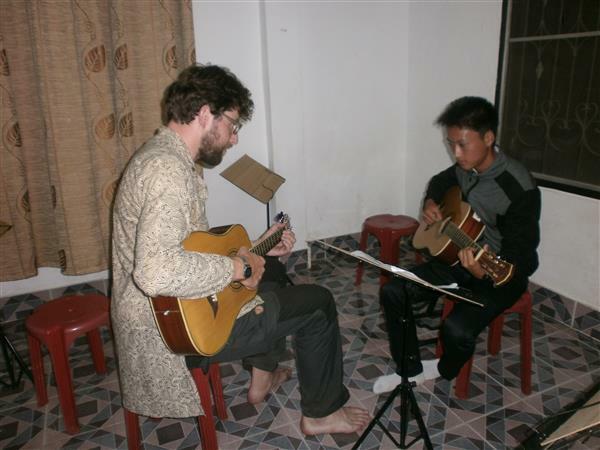 Before leaving, Chris donated an acoustic guitar with plug and a flute to MES. The guitar is now very popular at MES for its new look and everyone would love to try to play it. Special THANKS to Christian who had spent his full day for two weeks at MES helping many of the students progressed quickly, creating such a wonderful atmosphere, giving lot of fun to the school and the kids and supporting MES!! !